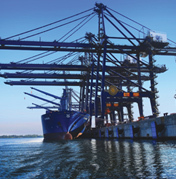 Hutchison Ports through ICAVE offers the following services. 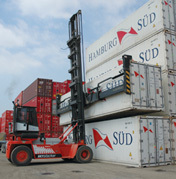 CONTAINER LOADING/DISCHARGING. 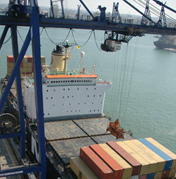 It consists of taking the container onto the ship with a container lift crane and placing it alongside the ship on an internal carrying platform or vice versa. 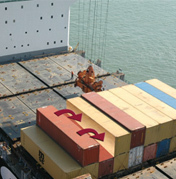 CELL-CELL REARRENGEMENTSIt consists of moving the container from where it is stowed on the ship, into another cell in the same line of work. 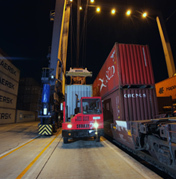 CELL-DOCK-CELL REARRENGEMENTS It consists of taking the container from where it is stowed, to a position on a platform and transfer it to the line of work that will lift it with a crane to another cell where it will be properly stowed. 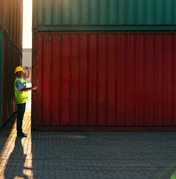 SIDE TRANSFER FROM DOCK TO YARD AND VICE VERSAIt consists of moving the container on a platform and placing it in the container yard properly stowed or vice versa. 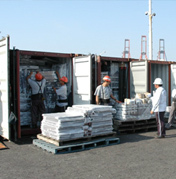 DELIVERY / RECEPTION OF CONTAINERS-TRUCK It consists of taking the container where it is stowed and putting it with specialized equipment on the truck (Federal Public Service) or vice versa. 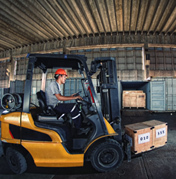 CONSOLIDATIONS / DESCONSOLIDATIONSTo fill up or empty the container in the CFS warehouse with specialized equipment and personnel. 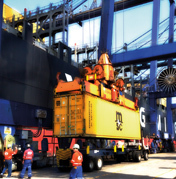 PREVIOUS INSPECTIONSIt consists of positioning the container where it is stowed to the yard for a prior revision as requested by the user. 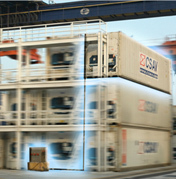 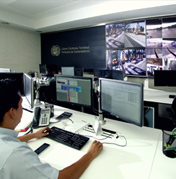 REFRIGERATED CONTAINER SERVICEIt consists of supplying energy and monitoring temperature by qualified personnel. 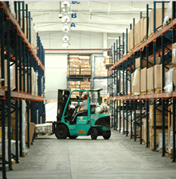 < p>BULK MERCHANDISE SERVICELabeling, tagging, palletizing and packaging in general. 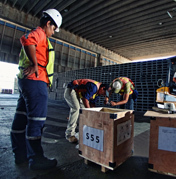 STORAGE To safely keep goods and containers in the appropriate spaces according to their classification. 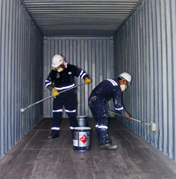 EMPTY CONTAINERS INSPECTIONIt consists of revising the empty containers to determine their condition. 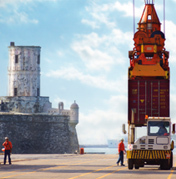 SPECIAL CARGO HANDLING.To perform special slow maneuvering to oversized or dangerous containers. 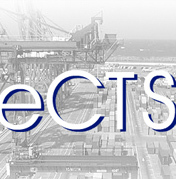 ECTS It is the Internet version of some modules of the Container Terminal System (CTS) for queries.